In fall of 2016, the Mary Black Foundation (MBF) began a new four-year initiative within the focus area of Healthy Eating | Active Living: the Spartanburg Healthy Schools Initiative (SHSI). to achieve health equity, such that disparities in health outcomes will have decreased. Through the SHSI, these goals are addressed specifically by supporting and working with schools to identify and fund sustainable environmental, systems, and policy changes that benefit students, their families, and school personnel. The vision of the SHSI is that Spartanburg County schools are thriving, healthy environments that support the whole child. Schools do not have the only role in helping to make kids healthier, but they do have an important part to play. Kids spend the majority of their daytime hours at school, so efforts made at school can have an impact in addressing childhood obesity. Through a Request for Proposal process open to all Spartanburg County schools, MBF selected nine schools to participate in the four-year intervention. Applications were rated based on demonstrated commitment from the school’s leadership and need. Local body mass index data shows that children in low-income households and African American and Latino children have higher rates of overweight and obesity. Therefore, need was defined as schools that had higher rates of demographics representing these communities. In partnership with the national Alliance for a Healthier Generation (Alliance), selected schools implement the Alliance’s Healthy Schools Program framework to guide the SHSI efforts. The intervention includes technical assistance support and training from the Alliance and Partners for Active Living, funds to support efforts at each school, and evaluation measures. Each of the nine schools formed a wellness committee to direct the work. Committee representation at each school is unique; however, representation generally includes PE and classroom teachers, nurses, school administration, and sometimes community members. At the start of the intervention, each wellness committee completed the CDC’s School Health Index, an online self-assessment that helps schools identify strengths and weaknesses of policies and programs. This assessment was then used to establish an action plan with goals to accomplish annually towards supporting greater health. Schools reassess and establish new goals every year. In Years 1 and 2, $409,500 was granted to the schools to support the action plans. In line with public health best practices, MBF has encouraged schools to focus on policy, systems, and environment changes for this intervention. These are more sustainable than programming. However, these big changes require funding—often targeted, one-time funds that can make a real difference. 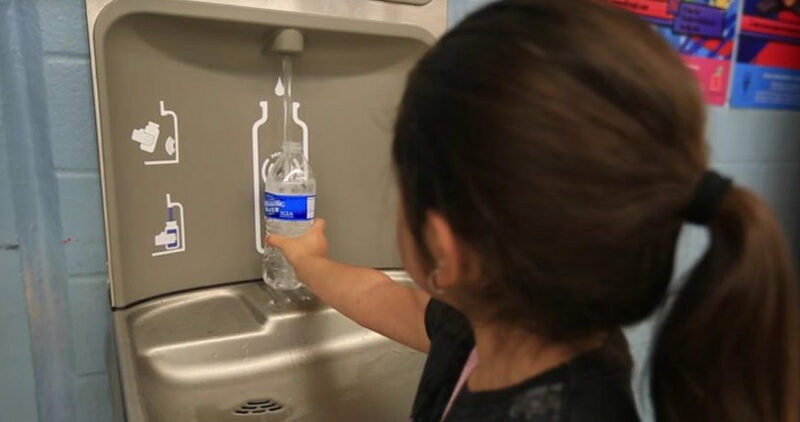 For example, several schools used funds to install water bottle-filling stations around the school. Furthermore, one of the schools implemented a practice that now allows students to drink water in the classroom. A one-time payment to install the stations, coupled with the systems change, results in a sustainable change to the culture of a school that now prioritizes drinking more water in an environmentally and economically friendly way. MBF is keenly interested in sharing information we’re learning from the SHSI. We just started year three of four, and data to date give us information to direct the efforts moving forward. When the four years are complete, MBF will report the results of the intervention locally and nationally, compare our work with other communities, and adjust future funding initiatives accordingly.